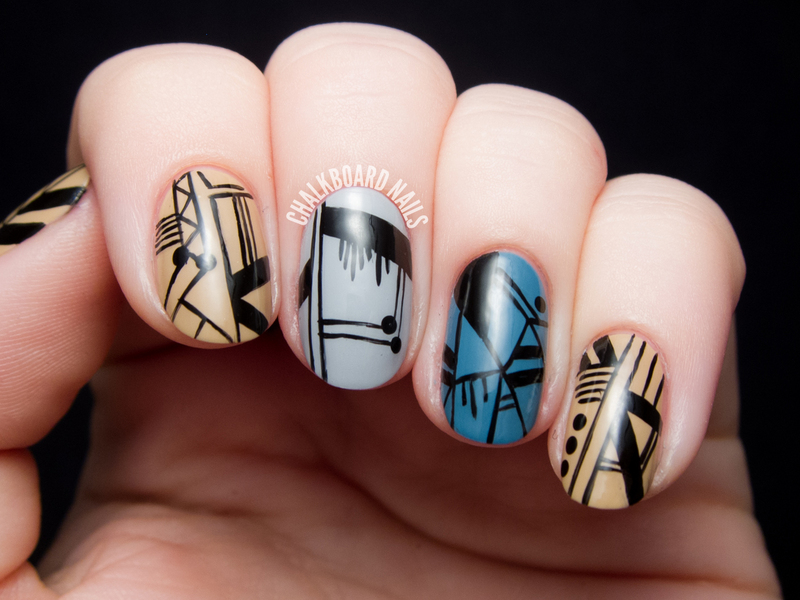 I did my best to channel my inner Spifster on this nail design, incorporating super skinny lines and solid blocks of black. I'll tell you what, doing freehand linework this fine is exhausting. I was constantly correcting my lines, cleaning them up, and holding my breath to keep my hand steady. I think I watched three episodes of Ink Master on Netflix during the time it took me to finish these nails. Still, I'm very proud of the outcome, especially since I've never been able to achieve such fine linework with nail polish before. Now to keep practicing so I can speed it up! Wow, I am going to have to practice for YEARS before I could ever get lines that straight freehanded. :P They look awesome! These are amazing! I love Spifster's work on IG, and you did it justice for sure! 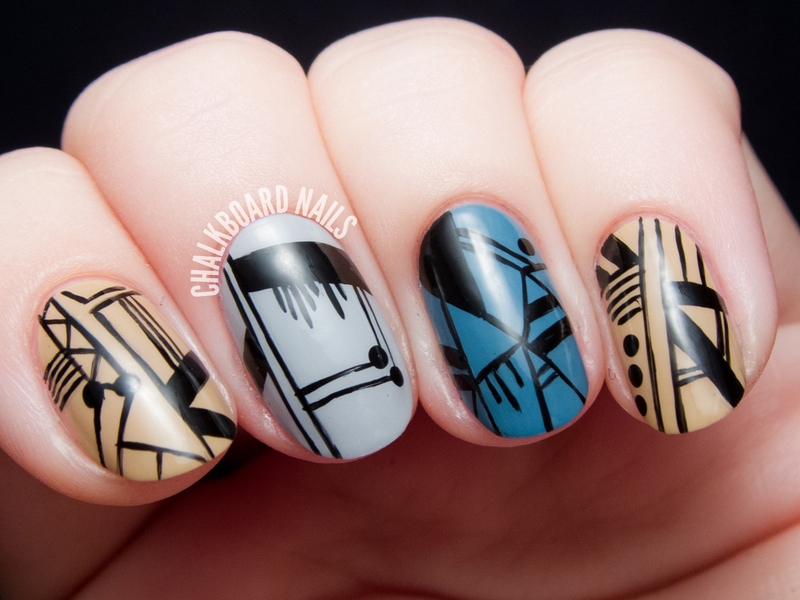 Such a creative manicure! Amazing! 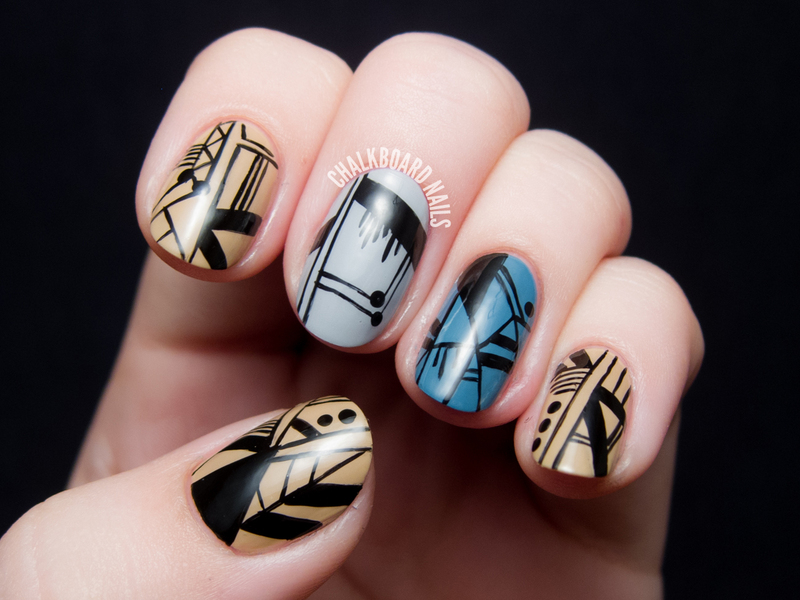 I think I just died and went to nail art heaven!